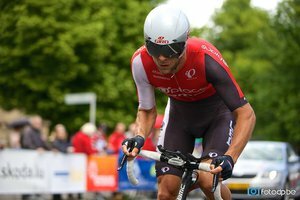 SRM sponsored triathlete and Luxembourg resident, Dirk Bockel, was invited to join the Tour of Luxembourg's prologue on June 4th, a 2.55km course featuring a fast descent, sharp corners, and a killer cobbled climb. 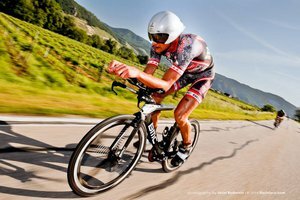 The Ironman Champion and Uplace-BMC Triathlon Team member completed a training block at the SRM Italia Headquarters leading up to the Luxembourg event with a primary focus on Challenge Roth, July 20th. Dirk provided his SRM race file from the Prologue and races at 189cm with approximately 76kg. The Giro d'Italia's first Individual Time Trial was Stage 12, a 41.9km course from Barbaresco to Barolo through the famous winemaking region in northern Italy. The route featured challenges for every type of rider; climbing, flat sections, straight aways, and tight corners and combined with the stormy wet weather conditions it was a true test of power and skills. Going into the stage, Cannondale Team Captain, Ivan Basso, was ranked 10th overall in the GC and a top finishing time could likely move him up significantly. 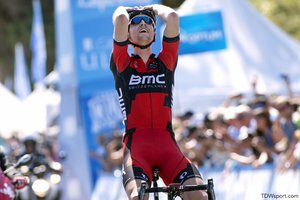 Taylor Phinney of the BMC Racing Team broke away 25 kilometers from the finish Thursday at the Amgen Tour of California and held off the charging pack on the run-in to the oceanside finish in Santa Barbara to earn his third victory of the season. "This was a great ride by Taylor," remarked Bobby Julich. "You could see from the salt stains on his jersey that it was another taxing day on the riders and he saw his opportunity to go for the stage and took it. Obvioulsy, Cannondale wasn't messing around up San Marcos Pass in their attempt to drop the sprinters, but he absorbed that effort very well. The descent favoured a bigger guy like Taylor, but he really had to fight during the run in to Santa Barbara. Each one of those rollers could have been the end of his breakaway attempt, but he powered over them and kept his speed and cadence very high. Averaging over 400w, 105 rpm and over 50kph at the end of a stage like that was world class. Very few riders could have pulled that off, but Taylor seems to be making it his signature move in road races. I liked the way that once he committed to the effort, he never looked back until he was preparing his victory salute.... which was, in my opinion, also world class!"